Advertisement is all about communicating people and making relationships by showing what is best about you and how you value their money. Sticker design is such a medium through which this communication can effectively occur. Its in the nature of stickers that they are made to change hands and to be passed down to one another. This makes the best sticker designs most effective in advertising your product because of its uniqueness and cost-efficiency. 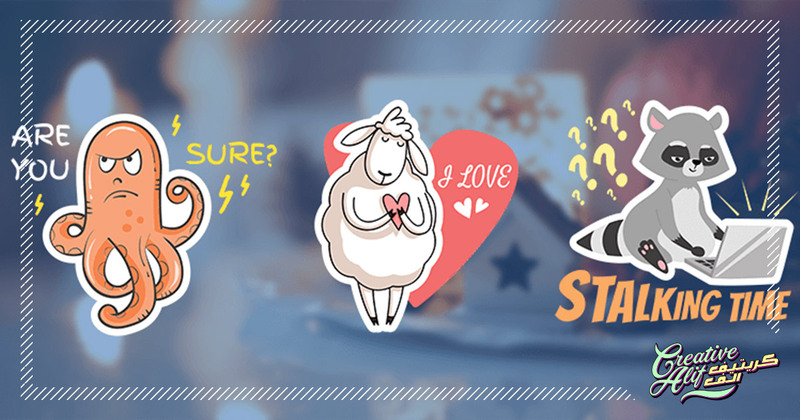 This article will show how effective marketing can be done through sticker designs. A sticker can be used to promote your brand in many forms. This can include stickers for events, promotions or labels. Many new businesses make the mistake of underestimating the power of an in-hand advertisement. It may be an old-school procedure, but its research proven that the word of the mouth still carries more weight while building customer trust than any other marketing technique. You can build this word by creating physical stickers promoting your brand. Similar to any form of advertisement you choose, sticker design will take a lot of effort and planning. The best sticker design companies in Saudi Arabia make sure that you reflect the essence of your company through your stickers. If you are thinking that branding through stickers is only possible for high-profile brands, then you are mistaken. Stickers on the whole are made to be shared or given out. You might not be able to put out your stickers for sale initially, but a proper design will make people pause to ponder over it. The best sticker designing companies will convey your brand with a message that everyone can relate to. For instance, if you own a dog food brand you can promote animals’ rights to well-being for through your brand. You can give out a message to promote confidence against racial discrimination and beauty stereotypes if you run a cosmetics brand. This means, that your sticker should portray something that a person can relate to. Suppose, it can remind them of something or someone, or they can use them as their own everyday reminder. This will increase the mouth-to-mouth passage of your product reviews as discussed initially. Also, you can convey small scale promotions of your brand through labels on your own packaging. let your customers know about the latest offers on your product to entice them to make a purchase. Similarly, these labels can also showcase an ongoing sale or discount, or convey your contribution to a charity, or an affiliation with a well-known brand or upcoming movie! Get creative with your stickers! You can increase your market presence by giving out thankyou stickers as well. Give out stickers saying ‘thankyou’ with your logo on it, every time someone makes a purchase. This will create a constructive relation to your buyers and will greatly increase your sales and revenue. Wrapping this up, its evident that you can use an effective sticker design in various ways to enhance your market presence and sales. But, you will need to give it the attention it needs so that you receive the desired results. The best sticker design companies keep your prospect in mind while creating label, promotional, event, and thankyou stickers for your brand. So, begin your task to incorporate this cheap and effective advertising method to your brand’s agenda today.